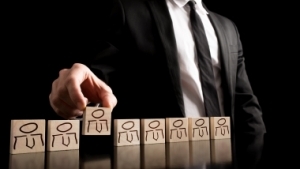 Your company is in desperate need of a highly skilled management level employee. A candidate that has years of experience and has demonstrated that they have what it takes to get the job done and done right. Searching for this type of employee through job sites isn’t always futile, but the effort to further screen the employee falls on you and this can prove to be a time-consuming task. You will likely run into the problem of having too many applicants, leaving you to sift through every resume in hopes that you find one with at least the right qualifications. What if there was a firm you could use to find ideal candidates for your company and that open position? A firm with experienced Milwaukee headhunters that know how to find talented individuals that have proven themselves as viable? You would probably use this firm’s services. Well here in Milwaukee, The Lawler Group is that firm and we know how to match the right talent in the right position. If your company has a job opening and you need the services of a Milwaukee headhunter from The Lawler Group, please give us a call today at 262-241-1600. You can also reach us by email at tim@lawlergroup.com and one of our experienced associates will respond shortly. Our search specialist and recruiters receive some of the best on-board training in the recruiting industry through the MRINetwork. They continue their training throughout their careers to ensure they stay current with the latest job trends and the employer needs of various companies in a multitude of industries. The MRINetwork provides our recruiters with abundant resources globally and has individually owned offices in 38 different countries. To learn more about our recruiting services and our methods, call us today at 262-241-1600. Or simply reach us via email at tim@lawlergroup.com and we will get back to you as soon as possible.